This is the winner of a Diploma. 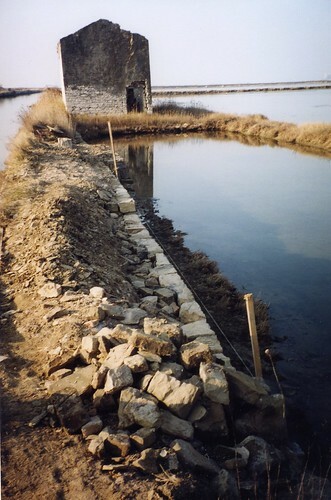 The restoration of a traditional salt-pan house within the context of the preserved cultural landscape of traditional salt-pans, including other buildings, bridges, docks and channels. It is one of the last locations on the Mediterranean where slat making follows traditional techniques, assisted only by the sun, wind and sweat. The long term vision of the Salt-Pans Landscape Park is oriented first and foremost in restoration works, which will, in the form of traditional salt making activities, help to preserve the existing ethnological heritage.